Meet Bear! 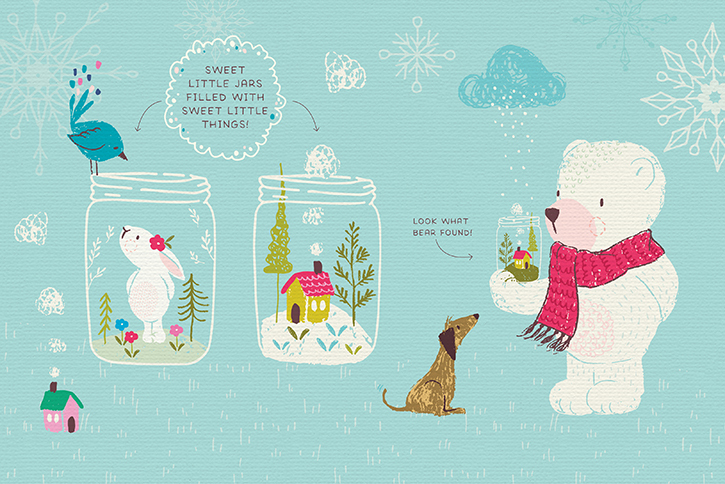 He's a whimsical winter bear who loves winter! 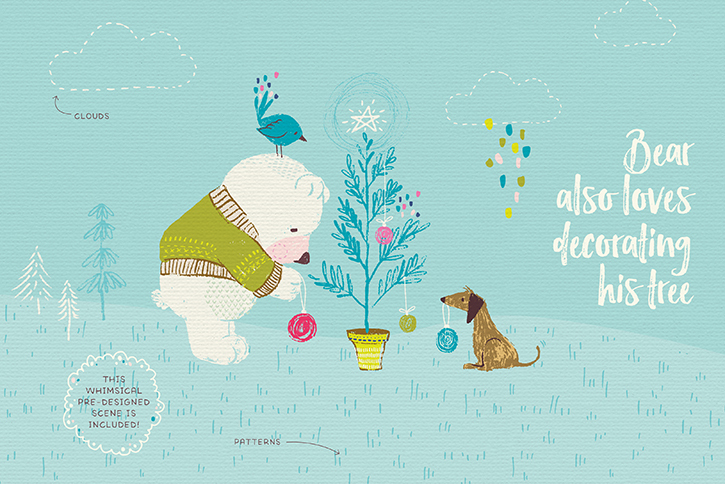 He also loves hanging out with his friends and decorating his Christmas tree. And he can’t wait to be part of your next creative project! 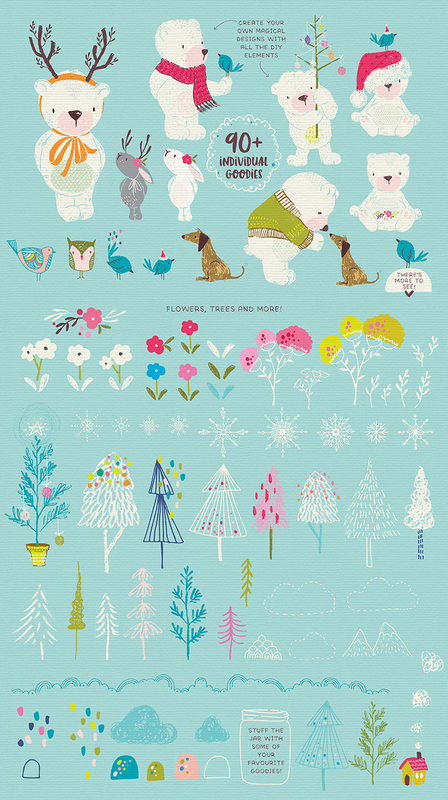 This whimsical winter graphic set is filled with quirky illustrations and items ready for you to sprinkle a little magic into your projects. 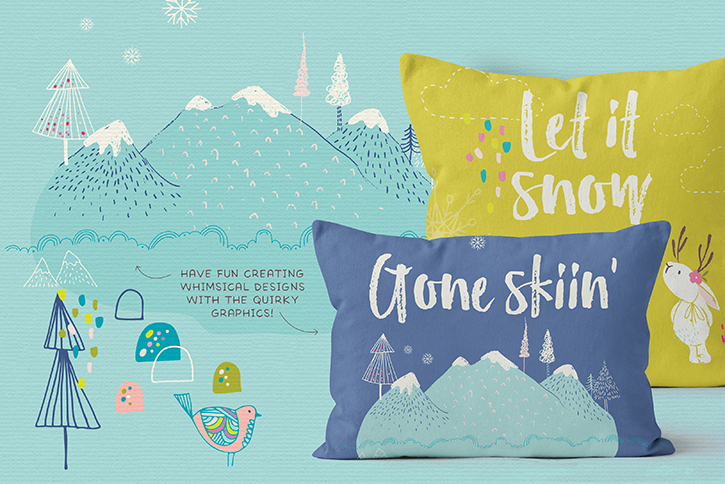 And if you’re pushed for time, or need a little inspiration, I’ve included three pre-designed winter scenes to get you started. 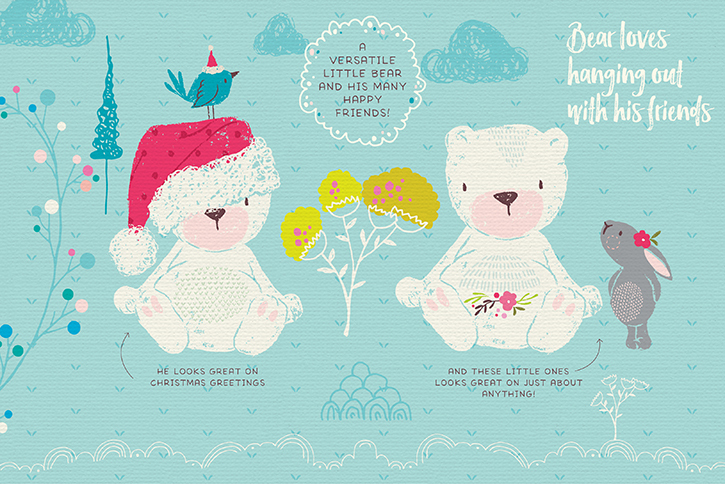 Bear and Friends are perfect for quote art, greetings, blog posts, Christmas cards, social media banners and so much more! 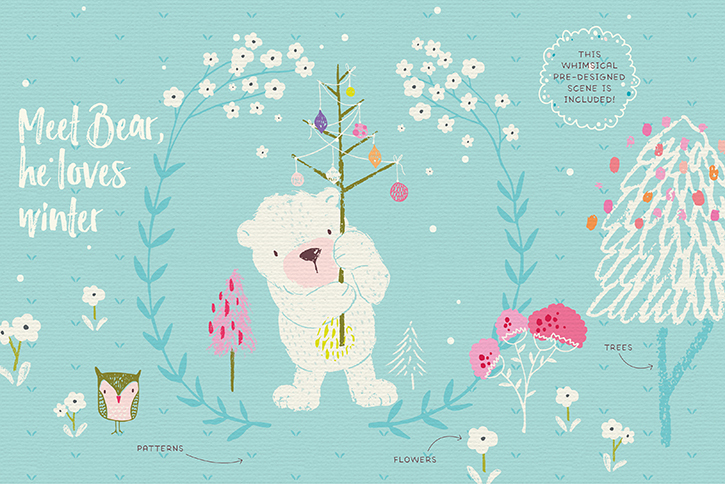 Be sure to scroll all the way down to see all the goodies included. If you have any questions at all just drop me a message, I'm happy to help! 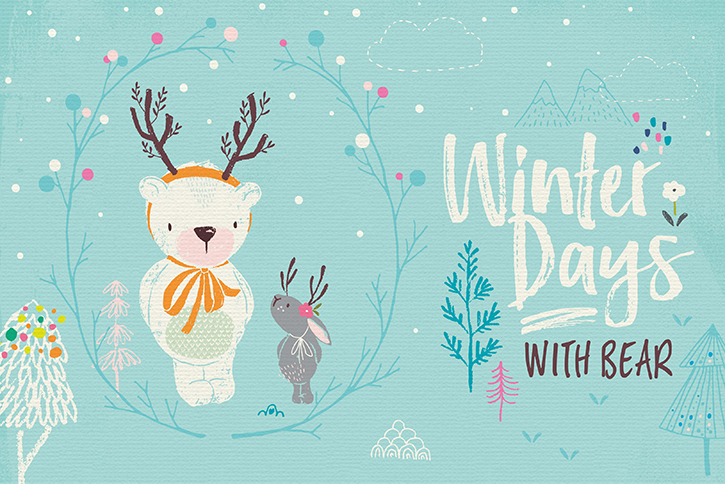 A whimsical winter graphic set filled with quirky bears and bunnies. 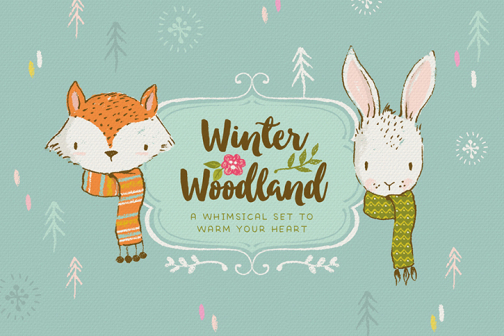 The Christmas graphics are ready to sprinkle a little magic into your projects. Raster files: PNG files can be opened with most photo editing software – please check your software for compatibility. 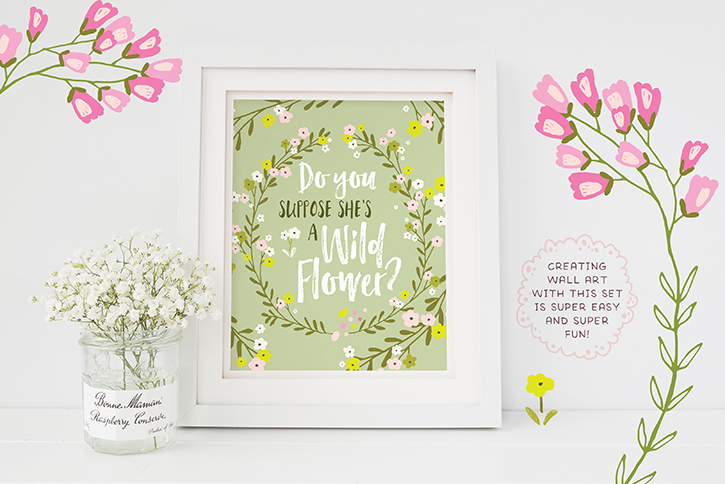 To open the PSD pre-designed scenes Adobe Photoshop CS3 or newer is required – if you don’t have Photoshop, I’ve also supplied them as JPEG files which will be flat, not layered. 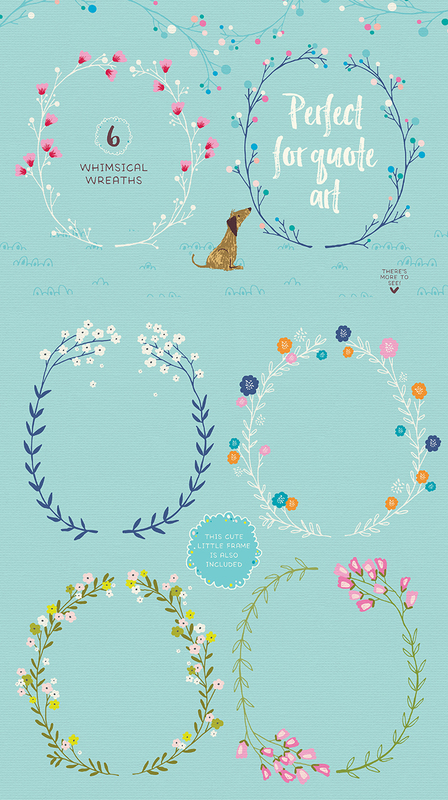 File format: All the elements are supplied in both vector and raster format (i.e. 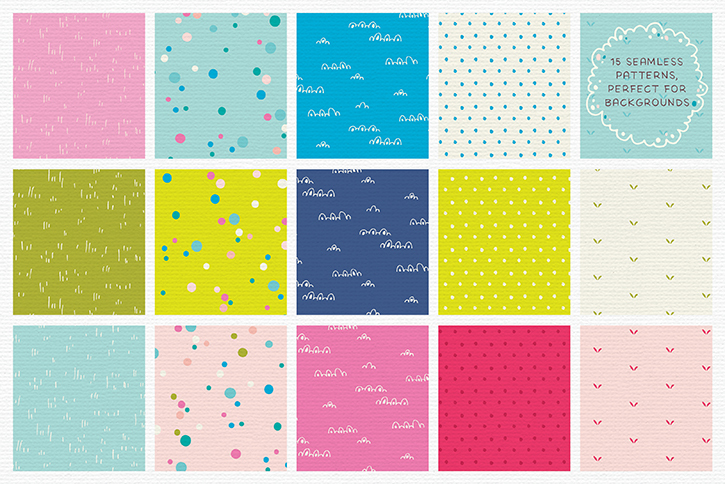 PNG - all elements; JPEG - patterns; PSD - pre-made scenes).